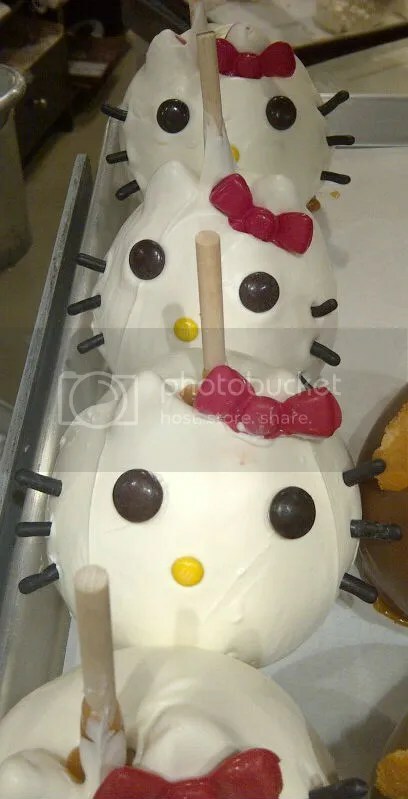 On one of our daily walks in our mall, my hubby and I came across these slightly odd looking, Hello Kitty Caramel Apples at Rocky Mountain Chocolate Factory. If they weren’t obscenely priced, I would’ve bought one…LOVE! !